Epcot shares the Holiday traditions of its 11 countries respresented in the World Showcase by presenting Holidays Around The World Storytellers. These storytellers entertain and teach the Disney World guests about the Holiday Traditions that are part of each country's culture. 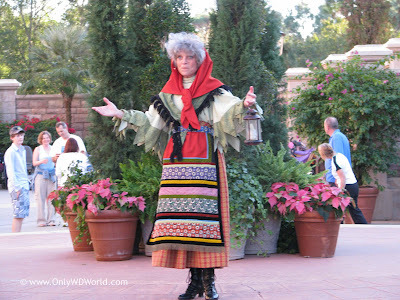 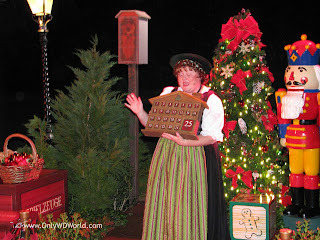 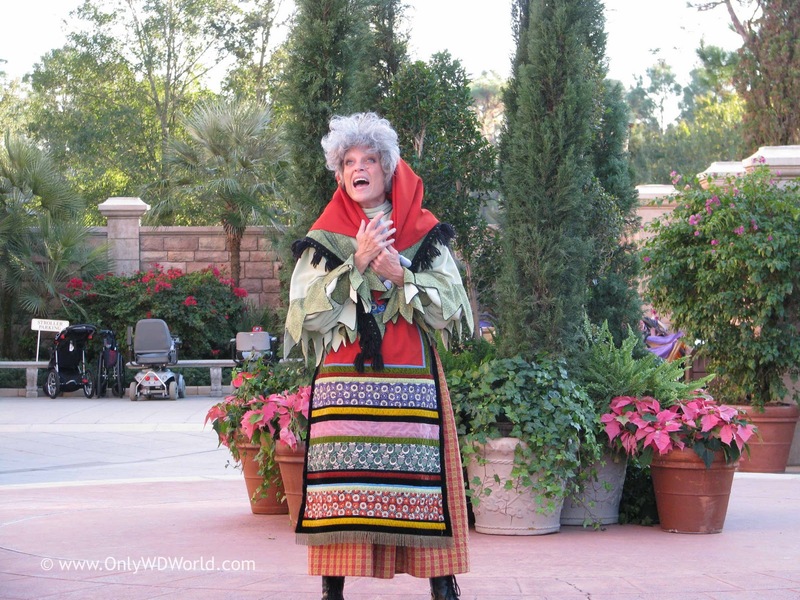 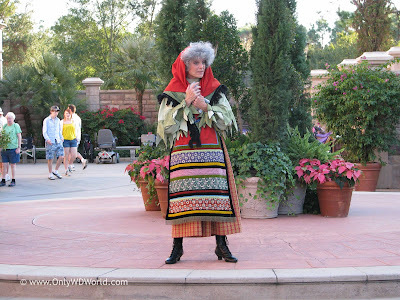 Epcot Holidays Around The World - The Storytellers Part I looked at Mexico, Norway, & China. 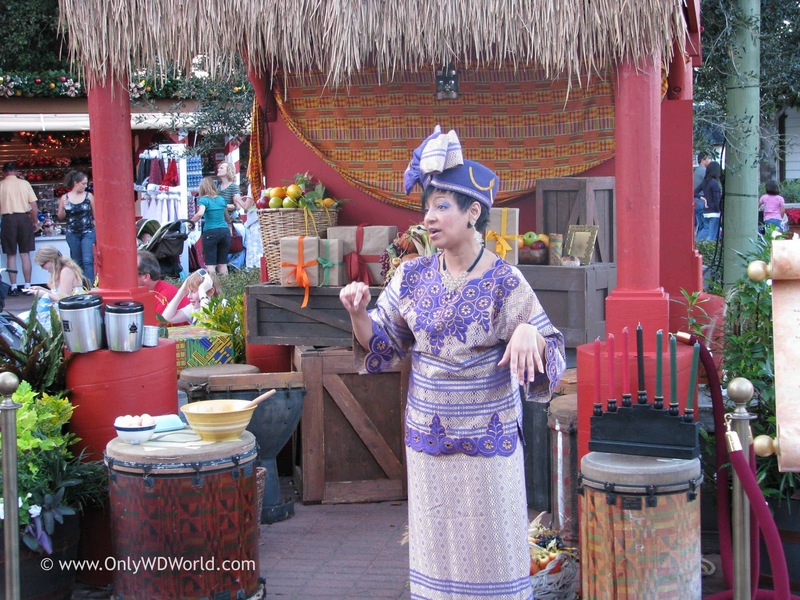 We now continue our trip around the World Showcase. 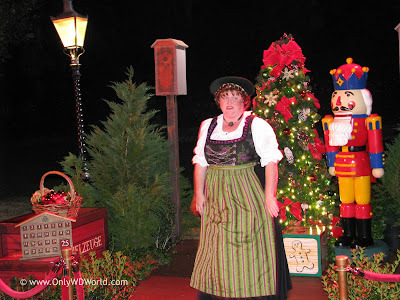 Helga greets us in Germany and tells us of her childhood in Germany and the traditions that she had with her family. 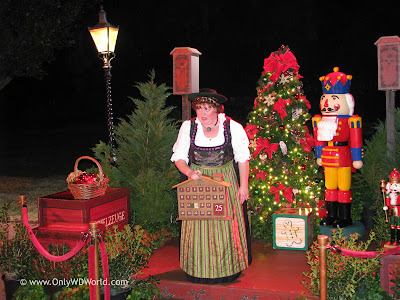 She tells us about the first Christmas trees and how according the German legend Martin Luther, the great Reformer, is credited with starting the idea of chopping down a fir tree and bringing it indoors to be decorated. These trees were referred to as Tannenbaum. 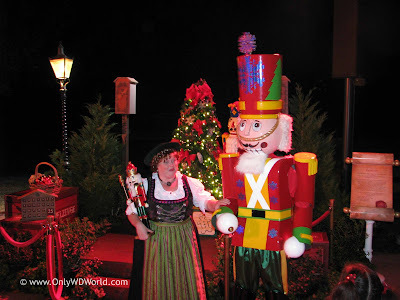 You will also hear about the legend of the Nutcracker and you will get to meet a Nutcracker that has come to life. 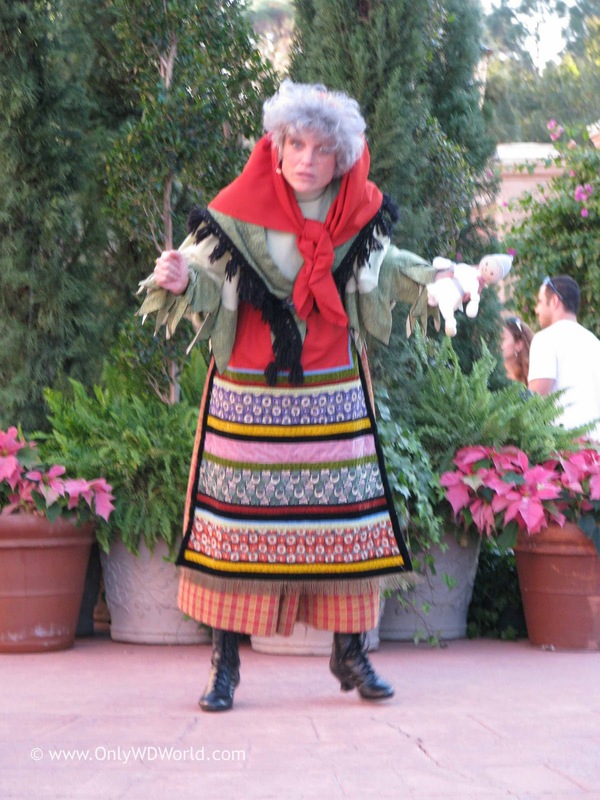 In Italy you will meet La Befana, the Good Christmas Witch. She will tell her story of how she remembers the Epiphany and the first Christmas over 2000 years ago. 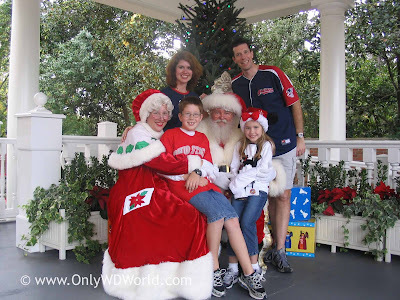 In the United States Of America you can meet Santa Claus himself. Also at the American Pavilion you will find a woman that explains the newer Holiday called Kwanzaa. It was very interesting to hear about some of the activities that occur during this celebration. 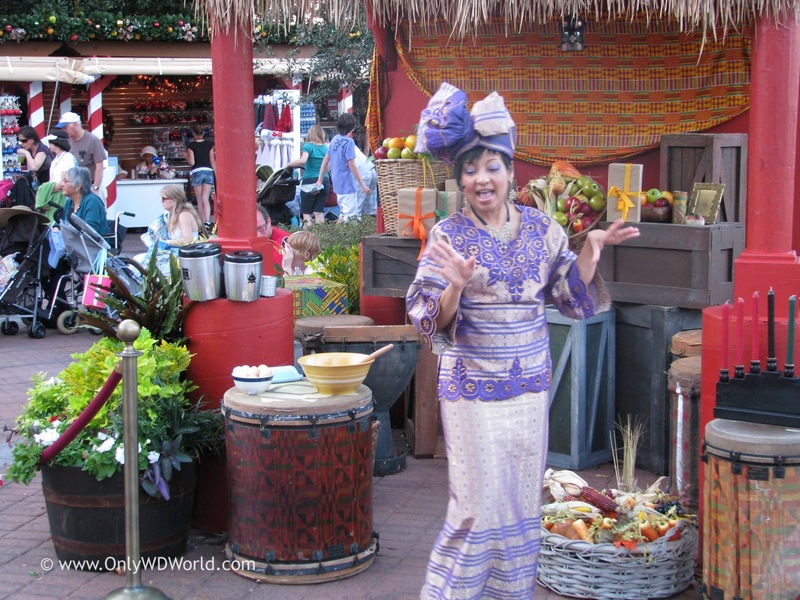 It is a celebration of family, community, and culture that involves the seven basic values of African Culture. In Japan the storyteller is a Daruma Vendor. 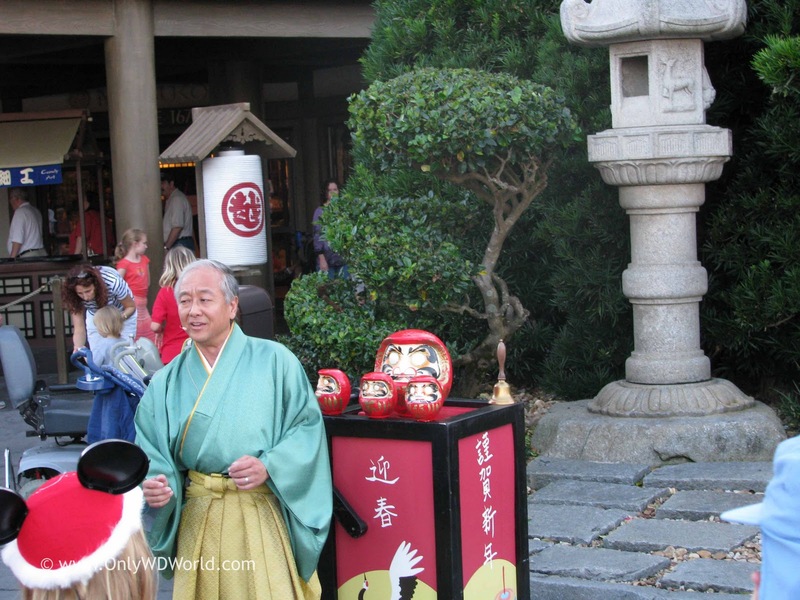 The Daruma doll is an important symbol of the Japanese New Year and a good luck charm. 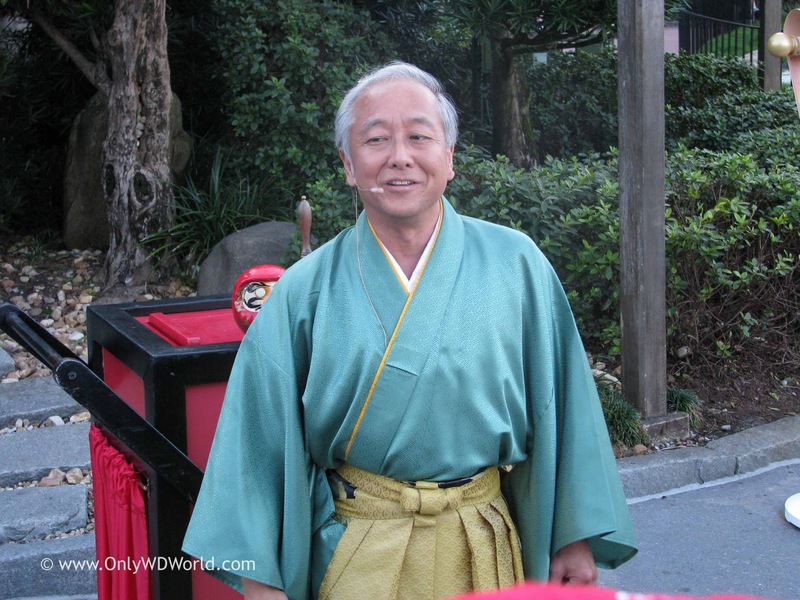 The Japanese New Year's celebration is called O-Shogatsu, which lasts from January 1st through January3rd. It is considered a time for reflection, family, friends, food, and fun! 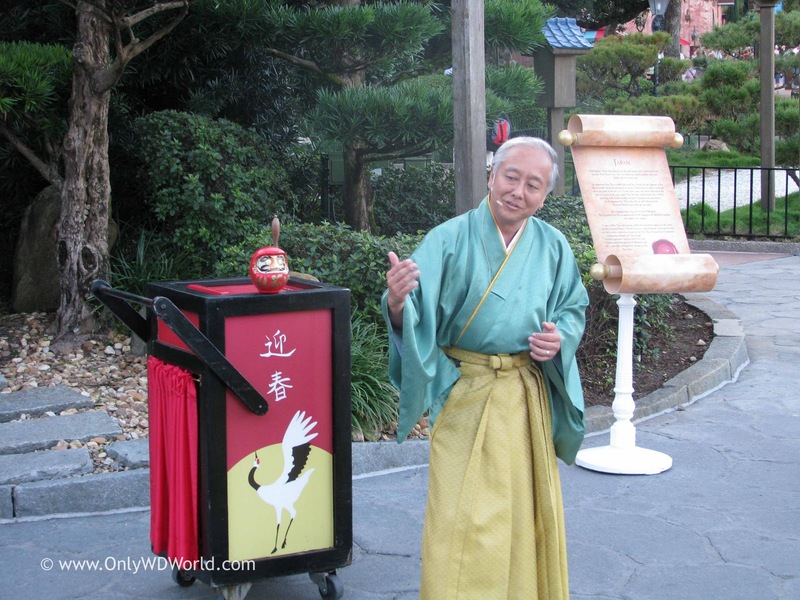 The storyteller reveals that the Daruma doll has no pupils in its eyes. 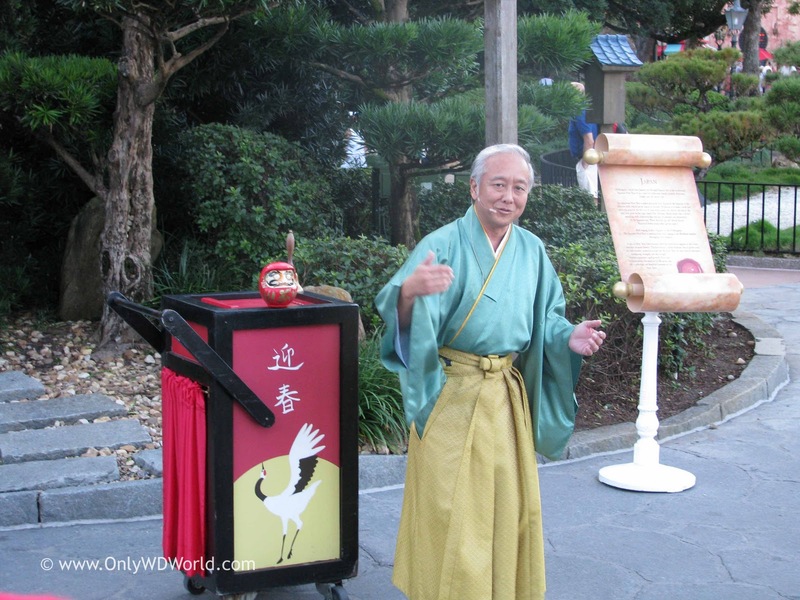 During the O-Shogatsu celebration, you make a wish as you paint in the left pupil on your doll. If the wish comes true before the end of the year you get to paint in the right pupil. 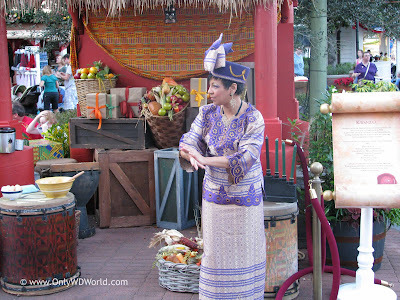 1 comments to "Epcot Holidays Around The World - The Storytellers Part II"